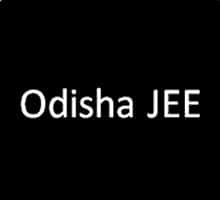 OJEE 2018 (Odisha JEE) was conducted on 13 May. The result of OJEE 2018 has been announced on 25 May. Candidates can download their OJEE rank card 2018 from the link provided below. To check OJEE 2018 result, enter the roll number, date of birth and provided verification code. Candidates can take a printout of OJEE result for future use. On the basis of OJEE 2018 result, the authority will prepare the merit list for each course. OJEE merit list 2018 will display the rank of candidates, based on which the counselling will be held. OJEE counselling 2018 will be conducted for admission to B.Pharm, MBA, MCA, M.Arch and M.Pharm courses offered by colleges in Odisha. Candidates can read the article OJEE 2018 for more details on result, merit list, counselling, seats, fees and more below. In addition to the above courses, there are also some lateral and integrated courses like B. Tech (Lateral Entry) / B. Pharm (Lateral Entry) / PGAT for M. Tech / M. Tech (Part-Time) / MCA (Lateral Entry) / Integrated MBA (5years) are also done on the basis of OJEE 2018. Latest Update: OJEE Result has been announced on 25 May. Download OJEE Rank Card 2018 using the link provided below. The admission in the BHMS, BAMS and B. Pharm courses will be on the basis of NEET 2018 from the academic year 2018-19. OJEE will not conduct any entrance exam for admission to these courses. Those candidates who have already applied for BHMS/ BAMS and B. Pharm courses and paid their application fee to OJEE will be refunded their application fee. But the candidates who applied for these courses will get rank in Pharmacy and will be eligible to get admission in colleges of Odisha in B. Pharm courses. OJEE 2018 is not for admission into MBBS, BDS, BHMS, BAMS, B.Tech/BE as the admission will be based on NEET 2018 & JEE Main Respectively. Candidates can check the OJEE important dates 2018 from the table below in order to keep a track on events. OJEE will be conducted for admission to B. Pharm/ B. Tech (Lateral Entry) / B. Pharm (Lateral Entry) / PGAT for M. Tech / M. Tech (Part-Time) / M. Arch and M. Pharm / MCA / MCA (Lateral Entry) / MBA / Integrated MBA (5years). Test for B Sc. (+3 Sc.) Lateral Entry to Engineering(2nd year). Admission to 3rd semester of Engineering / Technology/Architecture and Pharmacy stream for Diploma holders under lateral entry scheme. 3rd semester of Engineering / Technology streams for B.Sc. / +3 Sc. with Mathematics as a subject in +2 level under lateral entry scheme. B. SC./ +3 Sc students are considered for admission only on the availability of vacancy after Diploma LE admission. The first-year master’s degree courses in Computer application (MCA), Busines Administration (MBA), M Tech./ M Pharm/ MArch. In this section, the procedure has been discussed in detail in Homeopathy, Ayurveda, Pharmacy and Lateral Entry for B. Tech/Pharmacy and Architecture. Citizenship: Candidate must be a resident of Odisha. Candidate must have Passed or is appearing in 10+2 examination of CHSE, Odisha or equivalent in 2018 with Physics and Chemistry as compulsory subjects along with Mathematics / Biotechnology / Biology / Technical Vocational Subject. Candidate must have obtained an aggregate of 45% marks (40% in case of SC/ST category) and also have to pass in all subjects individually. Age Limit: No upper age limit to appear for OJEE 2018 for admission to B.Pharma. Qualifying Exam: From the academic year 2018-19, the admission to BHMS and BAMS will be on the basis of NEET 2018. Academic qualification (Pharmacy): Passed or appearing in 2018 diploma examination in two years diploma course after Class 12 in Pharmacy with minimum 45% (40% in case of candidate belong to SC / ST category) of marks in aggregate from Odisha State Board of Pharmacy (OSBP) or SCTE&VT or from an AICTE approved Institution / from a recognized University as defined by UGC for direct admission to the third semester degree courses. Academic Qualification (B. Tech): Passed or appearing in 2018 diploma examination in two years Diploma Course after Class 12 in Engineering/Technology/Architecture with 45% (40% in case of candidate belong to SC / ST category) of marks in aggregate from Odisha State Board of Pharmacy (OSBP) or SCTE&VT or from an AICTE approved Institution / from a recognized University as defined by UGC for direct admission to the third semester degree courses. Domicile: Students from state domicile and from outside the state who have chosen to prosecute their study for the qualifying examination in an Institute in Odisha having approval from the competent authority are eligible for admission under Lateral Entry. No reservation of seats: No reservation of seats in lateral entry to degree Pharmacy courses. The candidates who is a native of Odisha must submit the Residence Certificate (Appendix-I) at the time of document verification. The candidate has to submit the Residence certificate in the prescribed format. Age Limit: There is no Age Criteria for admission to these courses. Academic qualification: The candidates must qualify class 12 with minimum 60% in Physics, Chemistry, and Mathematics. The candidate should have obtained with minimum 50% marks in the English language at Class 10 or Class 12. Age: The candidate should be less than 22 years of age on the day of commencement of 2nd year Marine Engineering degree course. The detailed eligibility criteria are given in the OJEE Brochure given towards the end of the page. Through Debit/Credit Card (VISA / MASTER / Maestro Cards). Through e-Challan by depositing the fee in OJEE 2018 Bank Account with Bank of Baroda or Syndicate Bank. After the successful submission of online form, candidates must take out its print for their record and they need not send the hard copy to OJEE. OJEE 2018 Admit Card will be available to download from 20 to 25 April 2018 Onwards. 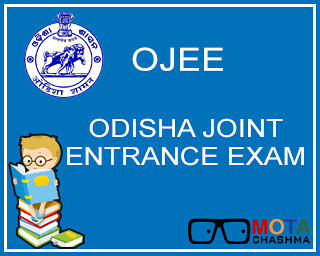 OJEE Admit Card will be available on the official website of OJEE. Candidates can download the Admit card and take a printout for the examination date. Candidates are advised to check the details like name of the students, exam centre, exam dates etc. on the printed admit card. An Admit card is an important document to be carried at the exam centre. Private College Fees: The Fee Structure for Professional Course in Private Colleges is Rs 40,000. OJEE 2018 Merit list for candidates seeking admission to B.Pharm will be drawn on the basis of marks obtained either in Physics, Chemistry, and Mathematics or in Physics, Chemistry, and Biology whichever is higher. The candidates seeking admission to BHMS and BAMS courses will be on the basis of marks obtained in NEET 2018. The candidate can request for re-totalling and re-addition of the OJEE 2018 Marks within seven days of the declaration of OJEE Result. For this, a sum of Rs 500 has to be paid by the candidate in the form of Demand Draft drawn on any nationalized bank in Bhubaneswar. There will be multiple choice type questions. Each question will have four options. The number of questions varies from the course to course. Marking Scheme: 4 marks will be awarded for every correct answer. Total marks: Each correct answer carries four Marks. The time schedule for Odisha Joint Entrance Examination 2018 is given in the table below. Note: If a candidate appears Physics & Chemistry and Biology & Mathematics then best of Biology or Mathematics will be considered along with Physics & Chemistry for generation of rank in the merit list for Pharmacy only. 12% seats are reserved for candidates belonging to Schedule Tribe by birth in all colleges. MBBS Admission: Admission to MBBS/BDS will not be through OJEE 2018. The admission will be based on NEET 2018. So the interested candidates can apply for NEET 2018 (formerly known as AIPMT). Engineering Admission: Admission to 1st-year undergraduate Engineering Programmes in Colleges in Odisha will not be on the basis of OJEE 2018 but on JEE Main 2018 and thus candidates have to appear in JEE Main 2018. OJEE 2018 Application Form - Registration Started!